In today's Worship Quote, John Stott sends us back to the basics. This is worship. It is to seek to give to God the glory which is due to his name. Indeed, the best biblical definition of worship I know is to "glory in his holy name" (Psalm 105:3), that is, to revel in the unique wonder of who he is and has revealed himself to be. If worship is right because God is worthy of it, it is also the best of all antidotes to our own self-centredness, the most effective way to "disinfect us of egotism," as one writer put it long ago. In true worship we turn the searchlight of our mind and heart upon God and temporarily forget about our troublesome and usually intrusive selves. We marvel at the beauties and intricacies of God's creation. We "survey the wondrous cross on which the Prince of glory died." We are taken up with God, the Father, the Son and the Holy Spirit. Jesus taught us to do this in the Lord's Prayer, whose first three sentences focus not on our needs but on his glory, on the honouring of his name, the spread of his kingdom and the doing of his will. Because we are normally so turned in on ourselves, we will not find this easy. But we have to persevere, since nothing is more right or more important. - John R. W. Stott, Christian Basics, (Grand Rapids: Eerdmans, 1969), 119. Today's Worship Quote speaks to that delicate balance between form and freedom when it comes to planning and leading worship. Now public worship is a vital part of the life of the local church. It is even essential to its identity. Yet in the interest of "spontaneity" worship services often lack both content and form . . . . Most churches could afford to give more time and trouble to the preparation of their worship. It is a mistake to imagine either that freedom and form exclude one another, or that the Holy Spirit is the friend of freedom in such a way as to be the enemy of form. -John Stott, in The Gospel and the End of Time, InterVarsity Press, 1991, page 124, as collected in Authentic Christianity: From the Writings of John Stott, compiled by Timothy Dudley-Smith, InterVarsity Press, 1995. I usually vote for "planned spontaneity" - a service that is very carefully and thoroughly planned, but one in which the plan does not rigidly dictate everything that transpires. Pastors and worship leaders often wrestle with the delicate balance between fact and feeling in worship, between the objective and the subjective aspects of our response to God. Today's Worship Quote of the Week comes from John Stott and deals with the heart and the mind in worship. The first characteristic of heart-worship is that it is rational; the mind is fully involved in it. For the 'heart' in Scripture is not simply equivalent to the emotions, as it usually is in common parlance today. In biblical thought the 'heart' is the center of the human personality and is often so used that the intellect is more emphasized than the emotions. Thus, the exhortation in Proverbs 23:26, 'My son, give me your heart,' has often been interpreted as an entreaty for our love and devotion. It has served as a convenient text for many sermons on whole-hearted discipleship. But in reality it is a command to listen, to pay attention, to sit up and take notice, an appeal more for concentration than for consecration." -John Stott, Christ the Controversialist, InterVarsity Press, 1970, p. 162, as collected in Authentic Christianity: From the Writings of John Stott, compiled by Timothy Dudley-Smith, InterVarsity Press, 1995. Lord, teach us that heart-worship is mindful worship. Amen! This WORSHIP QUOTE OF THE WEEK is another from the pen of John Stott, late rector emeritus of London's All Souls Church. In this case, "election" has nothing to do with a campaign trail. Many mysteries surround the doctrine of election, and theologians are unwise to systematize it in such a way that no puzzles, enigmas or loose ends are left. At the same time, in addition to the arguments developed in the exposition of Romans 8:28-30, we need to remember two truths. First, election is not just a Pauline or apostolic doctrine; it was also taught by Jesus himself. "I know those I have chosen," he said (John 13:18). Secondly, election is an indispensable foundation of Christian worship, in time and eternity. It is the essence of worship to say: "Not to us, O Lord, not to us, but to your name be the glory" (Psalm 115:1). If we were responsible for our own salvation, either in whole or even in part, we would be justified in singing our own praises and blowing our own trumpet in heaven. But such a thing is inconceivable. God's redeemed people will spend eternity worshipping him, humbling themselves before him in grateful adoration, ascribing their salvation to him and to the Lamb, and acknowledging that he alone is worthy to receive all praise, honor and glory. Why? Because our salvation is due entirely to his grace, will, initiative, wisdom and power. -John Stott, from Romans: God's Good News for the World, Downers Grove: InterVarsity Press, 1994. This week's worship quote is another from the pen of author John Stott, late rector emeritus of London's All Souls Church. "It is of course a fact that people like to worship with their own kith and kin, and with their own kind, as experts in church growth remind us; and it may be necessary to acquiesce in different congregations according to language, which is the most formidable barrier of all. But heterogeneity is of the essence of the church, since it is the one and only community in the world in which Christ has broken down all dividing walls. The vision we have been given of the church triumphant is of a company drawn from "every nation, tribe, people and language," who are all singing God's praises in unison (Rev 7:19ff). So we must declare that a homogeneous church is a defective church, which must work penitently and perseveringly towards heterogeneity." 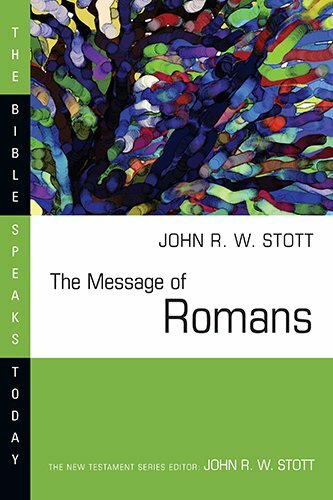 John Stott, The Message of Romans: God's Good News for the World. Downers Grove: InterVarsity Press, 1994. We need to listen again to the biblical criticism of religion. No book, even by Marx and his followers, is more scathing of empty religion than the Bible. The prophets of the eighth and seventh centuries BC were outspoken in their denunciation of the formalism and hypocrisy of Israelite worship. Jesus then applied their critique to the Pharisees of his day: "These people . . . .
honor me with their lips, but their hearts are far from me" (Is. 29:13; Mk. 7:6). And this indictment of religion by the Old Testament prophets and by Jesus is uncomfortably applicable to us and our churches today. Too much of our worship is ritual without reality, form without power, fun without fear, religion without God. Today's WORSHIP QUOTE brings us back to one of the basic ideas of Christian worship. We see again that acceptable worship is response to God-who he is and what he has done. 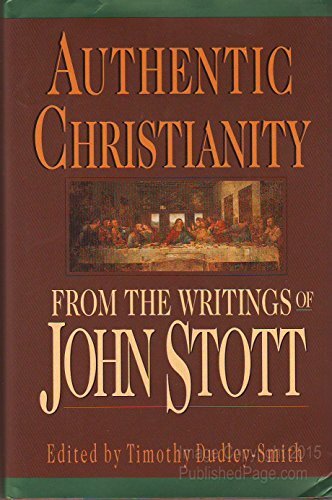 The author is John Stott. What, then, does it mean to worship God? It is to "glory in his holy name" (Ps. 105:3), that is , to revel adoringly in who he is in his revealed character. But before we can glory in God's name, we must know it. Hence the propriety of the reading and preaching of the Word of God in public worship, and of biblical meditation in private devotion. These things are not an intrusion into worship; they form the necessary foundation of it. God must speak to us before we have any liberty to speak to him. He must disclose to us who he is before we can offer him what we are in acceptable worship. The worship of God is always a response to the Word of God. Scripture wonderfully directs and enriches our worship. Lord, give us the desire to know you better. Reveal yourself to us, so that we may respond in worship. Amen! has done. It was the tremendous truths of Romans 1-11 which provoked Paul's outburst of praise in verses 33-36 of chapter 11. The worship of God is evoked, informed and inspired by the vision of God. Worship without theology is bound to degenerate into idolatry. Hence the indispensable place of Scripture in both public and private devotion. It is the Word of God which calls forth the worship of God. 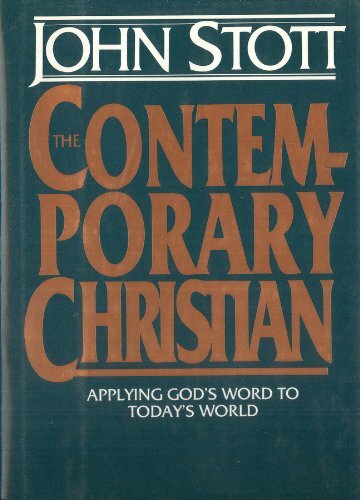 As I believe Bishop Handley Moule said at the end of the last century, we must "beware equally of an undevotional theology and of an untheological devotion." Today's WORSHIP QUOTE deals with that delicate balance (or combination) of "head and heart" that is needed as we come to worship God. 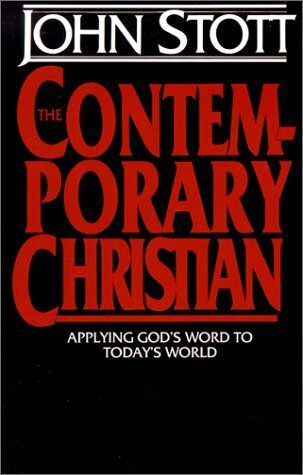 The author is John Stott, author of the best-selling BASIC CHRISTIANITY, and rector emeritus of London's All Souls Church.